More than a quarter of Canadian workers see the desktop computer as an endangered species. In a new LinkedIn survey of more than 7,000professionals worldwide, 28 per cent of Canadians said the desktopcould disappear from the office landscape within five years. Other staples of the office landscape deemed destined for the scrapheap were: tape recorders (top vote getter of obsolensence at 85 percent), followed by the Rolodex, fax machines, desk phones and businesscards. Since desktop computers are seen as on the way out, it’s no shockerthat tablets were namedby 58 per cent of Canadian workers as the top office tool oftoday’s work place, followed by cloud storage (54 per cent),smartphones and flexible office hours (tied at 52 per cent). 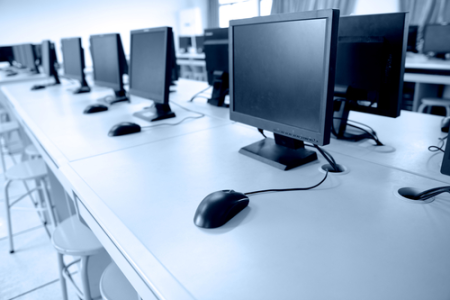 Older types of hardware and office equipment aren’t the only thingsbeing judged as endangered. Traditional office practices are also seenas dying out, including standard 9 to 5 working hours (in fourthplace overall), formal business attire (fifth spot), and the saving thecorneroffice for managers and executives (eighth place). Some of the biggest items on Canadian workers’ wish list of officetools can’t be ordered online or through the channel, like an officewith natural sunlight or a place to nap, both named by 25 per cent ofus working stiffs as the thing they’d most like to have added to theiroffice environment.